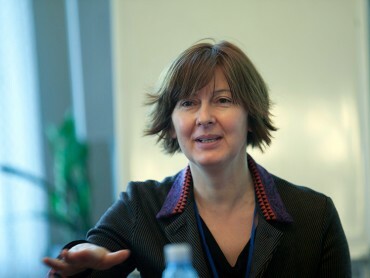 Brankica Petković is Head of the Center for Media Policy at the Peace Institute in Ljubljana and Editor-in-Chief of the Media Watch book series and Media Watch journal. Her work at the Peace Institute is focused on monitoring, policy research, advocacy, training/education and publishing activities in the field of media accountability (professional standards), access of minority groups and citizens to the media (communication rights of citizens and minority groups), media content diversity and media ownership pluralism. She is the author of a number of articles and reports and co-author of books on the above mentioned topics. She has been a project leader of a number of national and regional research and advocacy projects, including “Media ownership and its impact on media independence and pluralism in South East European and new EU member countries” (2003/04). In 2005 she was awareded with the Dr. Erhard Busek – SEEMO Award for Better Understanding in South East Europe. She graduated in South Slavic languages and literature from the University of Osijek, Croatia, in 1989. 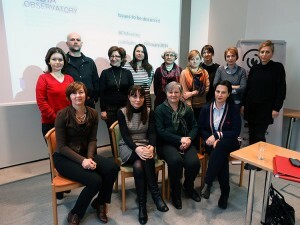 She holds MA in Sociology of Culture at the Faculty of Arts, University of Ljubljana. After the outbreak of war and the take-over of Glas Slavonije newspaper she moved to Ljubljana. From 1991 to 1992 she worked as junior advisor in the cabinet of the Republic(during the mandate of Dr. Janez Drnovsek)in the then presidency of SFRY in Belgrade. From 1992 to 1993 she was program officer at the Pharos Foundation in Ljubljana, and from 1993 to 2000 she was program director at the Open Society Institute (Soros Foundation) in Ljubljana. Since 2001 she has worked for the Peace Institute. The project nurture and foster prominent role of civil society in the media reform processes in the countries of South East Europe. 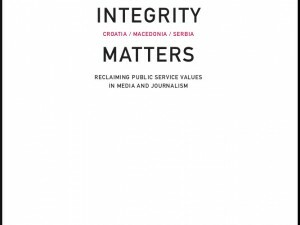 Public service values in media and journalism are endangered and therefore need to be monitored and protected.